Then we arrived in Jasper and although I had looked at some of the packages available with the other ski resorts we had passed on our journey, I hadn't checked with Marmot Basin in Jasper. 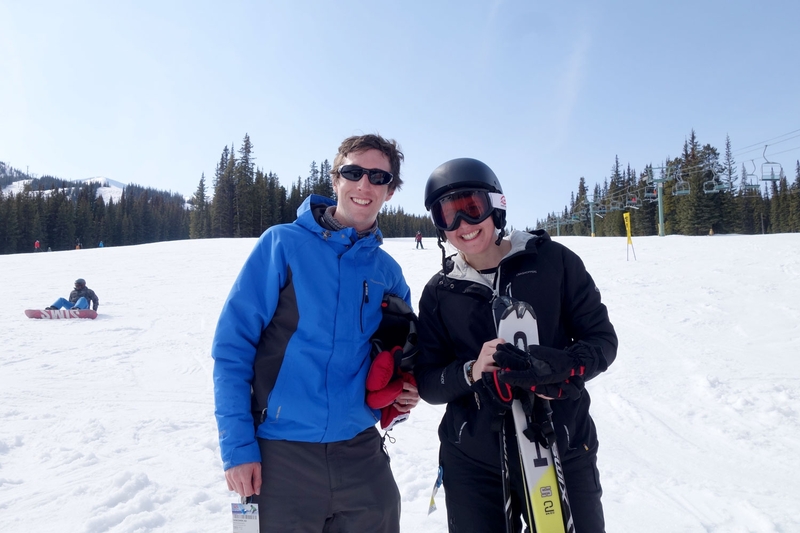 Turns out they had a fantastic 'discovery package' for people who have never skied before or did it a verrrrrryyy long time ago (ie Alistair). 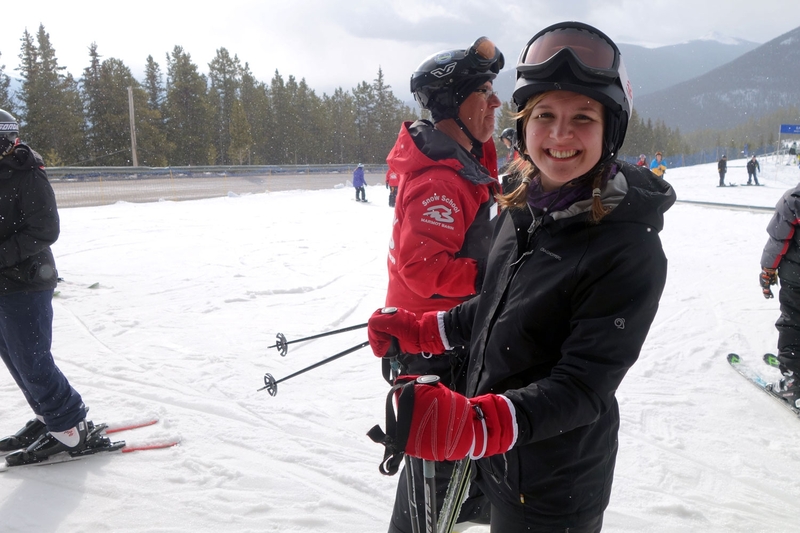 It included a lesson, lift tickets for the baby slopes and most of your equipment rental. Even when we added on hiring the rest of the equipment it was still a pretty decent deal for a sample of skiing! Now the only problem was what the insurance people would say. With a new determination I set about contacting our insurance just to see what they would say. 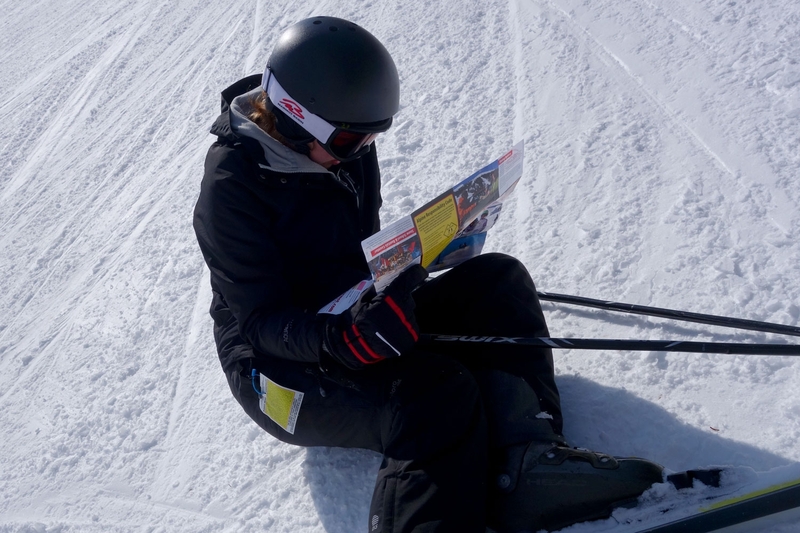 After waiting a day for them to put their request into their underwriter we were told that we could add a winter sports cover day to our policy for £1.50! Needless to say we speedily agreed and were out the door 5 minutes later to get everything else booked. 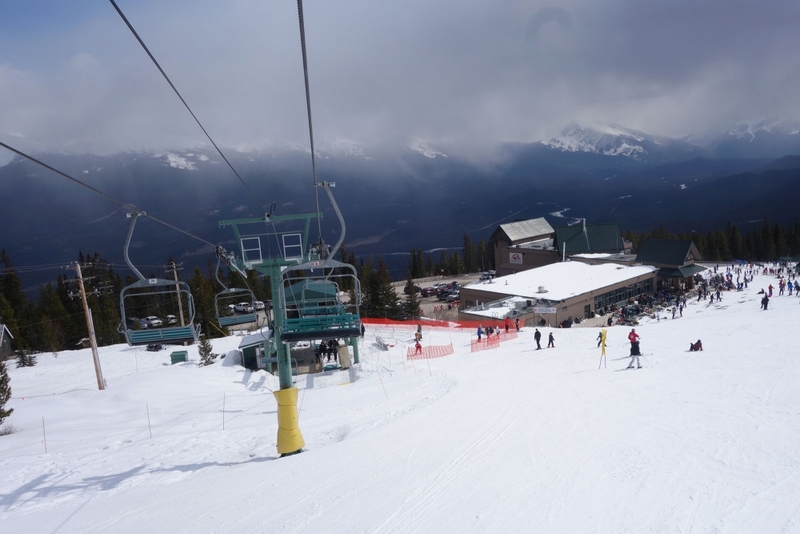 So that is the story of how we ended up on the ski slopes at Marmot Basin at 10am on Good Friday. The lesson was really great, we had 6 people in our group and the instructor was very patient and kind. It lasted 2 hours and by the end I felt fairly comfortable starting, stopping and moving down a slope...but then again this was on the super baby magic carpet slope. After a bite of lunch we decided to head up to the school house run which is an easy green slope. 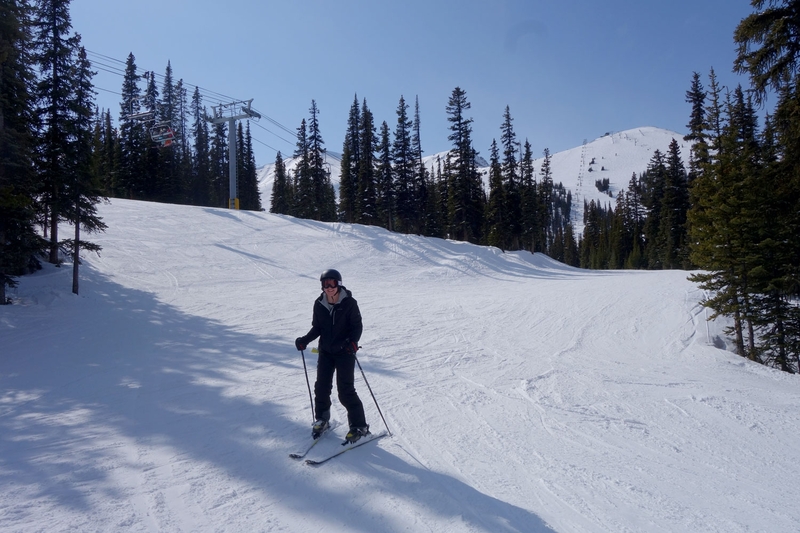 I soon realised that things were a little different on actual slopes and ended up on my backside more times than I can count. 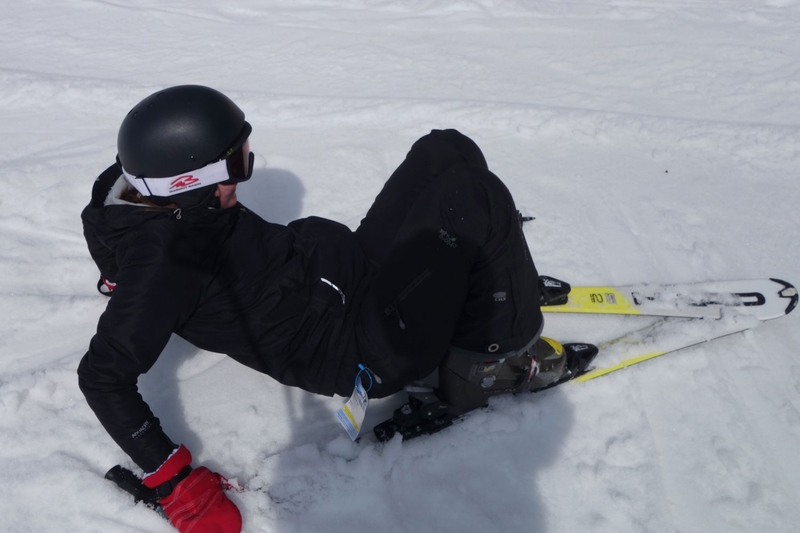 I even had a lovely encounter with a lady at the bottom when I slipped and fell and continued to slide down the hill until I crashed into her at the entrance to the chair lift. The bonus was that I quickly learnt the skill of how to stand back up again on the slope and things did get easier from then on - with every run down the slope there came less and less falls. 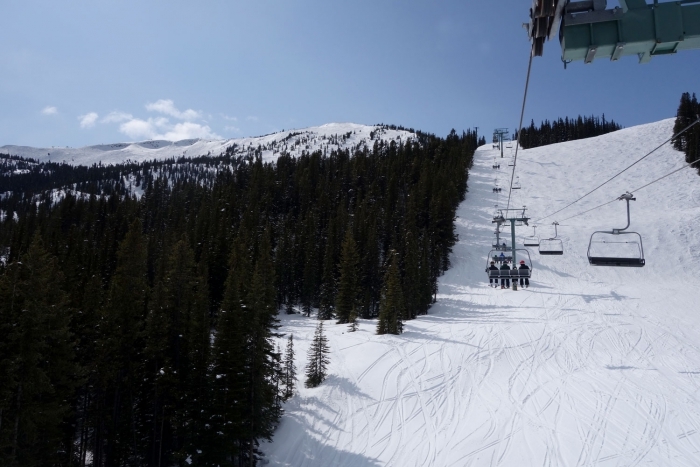 Boy was I wrong....we got off the lift (which was also much higher and longer than the school house chair so my vertigo was having a field day) and were faced with a super steep slope. I fell instantly and again managed to barrel into some poor person standing innocently at the top of the slope. It kinda went downhill (edit from Alistair while adding images: PUN!! PUUUUUNN!!! :D) from there with me having to side step down one portion given how steep it was and how many times I fell trying to get down even a portion of it. Finally we made it to the bottom, having taken almost an hour...poor Alistair was very patient throughout the whole episode! The length of time that it took us however meant that we didn't have time to go for another run before the slopes closed so we had to call it a day. All still in one piece!